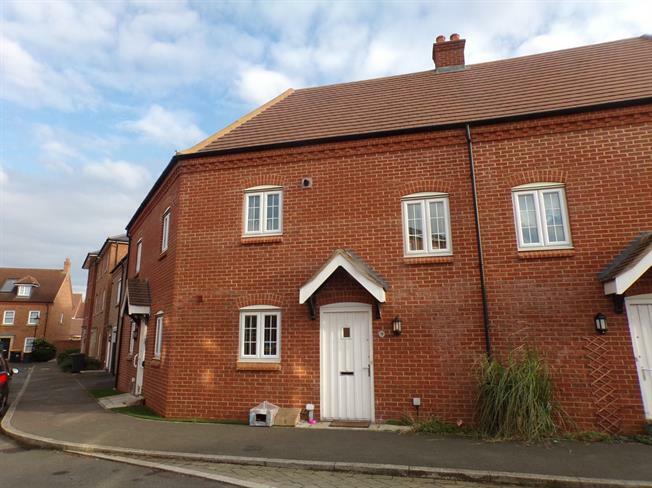 2 Bedroom Maisonette For Sale in Bedford for Offers in the region of £190,000. A very well presented two bedroom first floor purpose built maisonette in the popular Great Denham area of Bedford. The property is available with the added bonus of no upper chain and is an ideal first time buy or investment. Benefits include double glazing, gas to radiator heating and an open plan kitchen/diner. There is a separate lounge, two double bedrooms and a fitted bathroom suite. Outside there is a single 19ft garage in a block next to the property. Door to entrance hall. Laminate flooring. Stairs to first floor. Double glazed uPVC window facing the front. Radiator. Roll edge work surface, built-in units, single sink, integrated oven, gas hob. Double glazed uPVC window with obscure glass facing the rear. Radiator. Low level WC, panelled bath, pedestal sink. Single garage located next to the property in block of three. 19ft x 10ft with electric door.